As the article unfolds see if you can determine which is from a Chinese scholar from 500 B.C. and which is from an American writer from 1850. 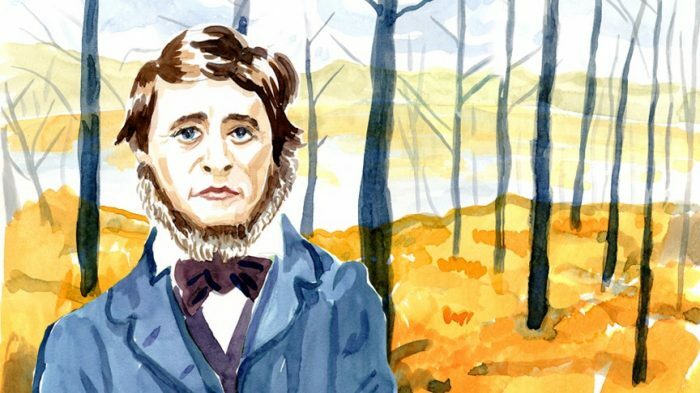 As the world acknowledges the 200th anniversary of the birth year of Henry David Thoreau, from many perspectives I choose to recognize him for his contributions to the world of mindfulness and therefore to the world of business. In other words on his birth year I am suggesting we celebrate the gift he gave us by sharing his ‘natural’ experiences. Ralph Waldo Emmerson who was a friend and mentor introduced Thoreau to Walden Pond when he was 28 years old and where he stayed for about two years. The friendship and introduction was based on mutual interests in the philosophies of ancient India. 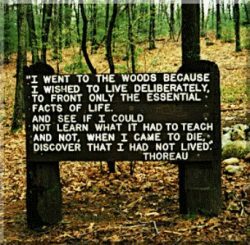 Thoreau was, of course, one member of the “eloquent” and popular transcendental triumvirate including him, Emmerson and Whitman. However for the purposes of this article, it is his personal journey that is of most relevance. Thoreau’s governing principle is captured in this quote from Pearson. In far less eloquent words the experience of Thoreau has been described as his sucking out the marrow of life. All of this and more is documented in his book Walden published in 1854 and has been described as part personal declaration of independence, social experiment, voyage of spiritual discovery, satire, and manual for self-reliance. I, however, would describe it as a remarkable validation of mindfulness. Staggering amount Thoreau’s thoughts are found in Wherever You Go, There You Are: Mindfulness Meditation In Everyday Life by Jon Kabat-Zinn. It is replete with references, anecdotes and quotes. Clearly the author believes Thoreau was embracing the tenets of mindfulness. I have written extensively about the positive impact of mindfulness on businesspersons. What Can Paying Attention To Your Breath Do For You? I have also written directly on nature and the magic it represents. Finally, I can offer up a personal endorsement. I have gone to great lengths to recreate and share (http://www.youtube.com/watch?v=BPYZ9I6Yqm0I) a modern day Walden Pond. In closing, the first quote is from Lao Tzu and the second is from Thoreau.